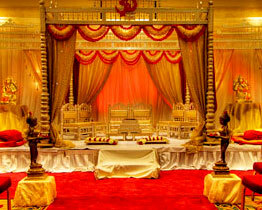 Royal wedding is held in the deserts of Rajasthan, in royal and rich ambience. 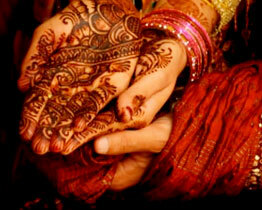 Rajasthan, India is the ideal place to plan regal and royal marriages. A treasure trove of royal venues for royal weddings, Rajasthan beckons the romatic at heart to enter into a lifetime bond in an exotic locale. Palace (Fort) Weddings in Rajasthan is very popular and a much sought after affair. 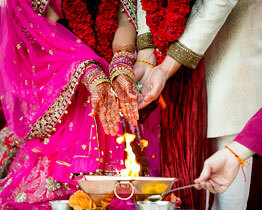 Romantic weddings in Rajasthan are reflected in these glorious palaces and forts of Rajasthan. Amazing myths of heroism and romance still resound from astonishing architecture of Rajasthan that still stands to narrate the tale of a bygone era. The magic of Rajasthan is unparalleled in the world for its heritage, culture, safaris, forts, palaces, sand dunes and lush green forests with its wildlife. For your wedding ceremonies at Rajasthan enjoy a safari on horses, camels, elephants or even jeeps with the Aravalis - India's ancient mountain range in the background, or caress your eyes on the sloppy sand dunes, or trail a tiger or just watch birds on wetland. Or you can choose to pamper yourself in the lavish heritage properties and make plans for your big day in the palaces and forts of Rajasthan. Palace (Forts) Weddings in Rajasthan is the most exotic way to solemnize the nuptial bond. Rajasthan is dotted with numerous dreamlike palaces, charming forts and palatial mansions (havelis). 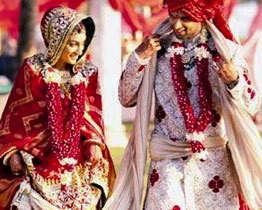 Wedding in Rajasthan is grand and lavish with reminiscence of the royal past. Some preferred destinations in Rajasthan includes Jaipur ' the Pink City', Udaipur ' the Lake City ', Jodhpur ' the Blue City ', Jaisalmer ' the City of Gold ', Mandawa ' Open-Air Art Gallery of Rajasthan ' and many more. Most of these enchanting palaces and forts in Rajasthan have been carefully revamped to reflect the essence of the glorious past and the sophisticated future. Enter into the sacred bond of matrimony in the most regal and gorgeous setting. The spectacular city of Jaipur is one of the dreamiest places to get married. From the rich history of its palaces to the stunning gardens of the heritage hotels, Jaipur city exudes romance. Some popular venues for palace and fort weddings in Jaipur, Rajasthan are Rambagh Palace, Rajvilas Palace, Jai Mahal Palace and Samode Haveli. A royal wedding in Rajasthan will leave a lasting impression. Royal wedding is very popular in the exquisite Palaces (Forts) of Gujarat, in royal and rich ambience. 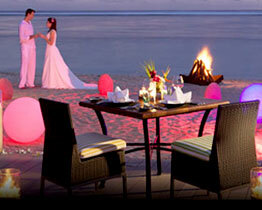 Gujarat, India is the perfect place to plan regal / royal marriages.